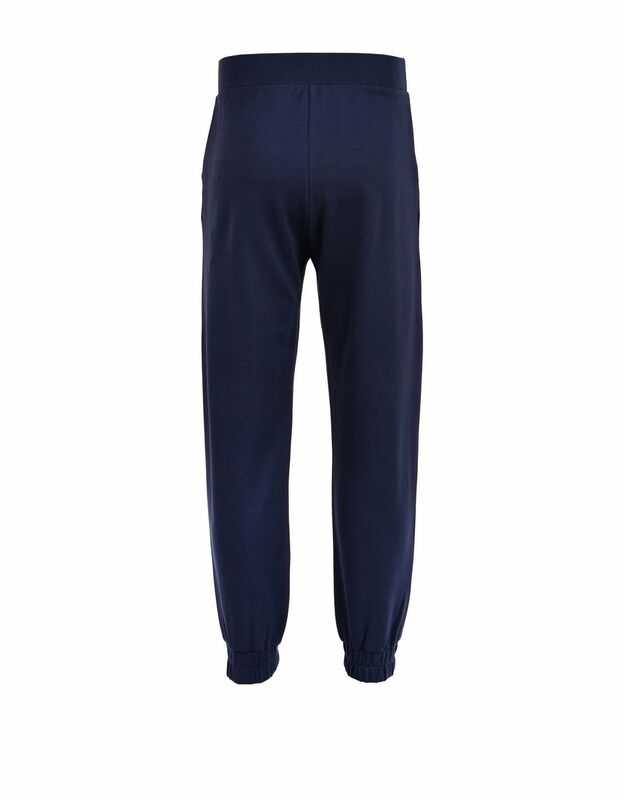 The comfort of Milano rib jersey merges with a modern design in these jogging bottoms for girls. 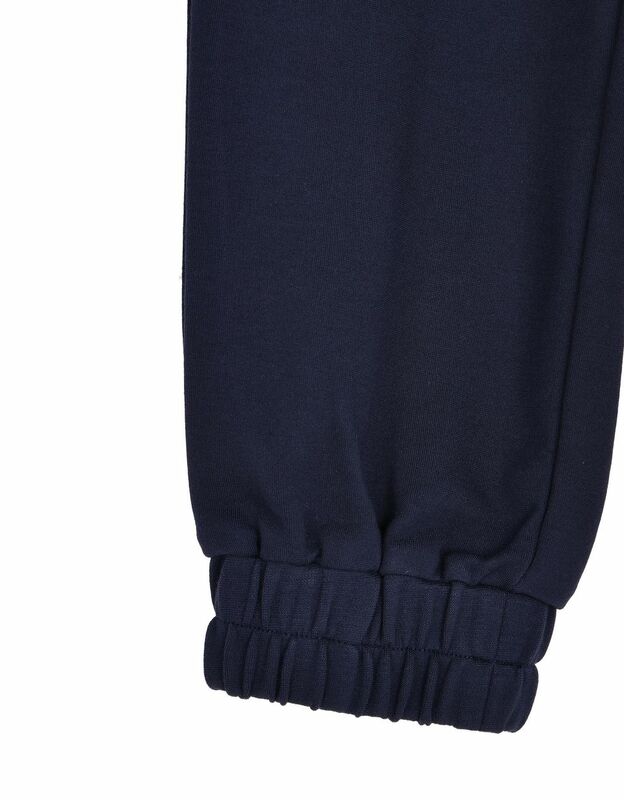 Complete with a satin belt, they are perfect for going from the gym to school. 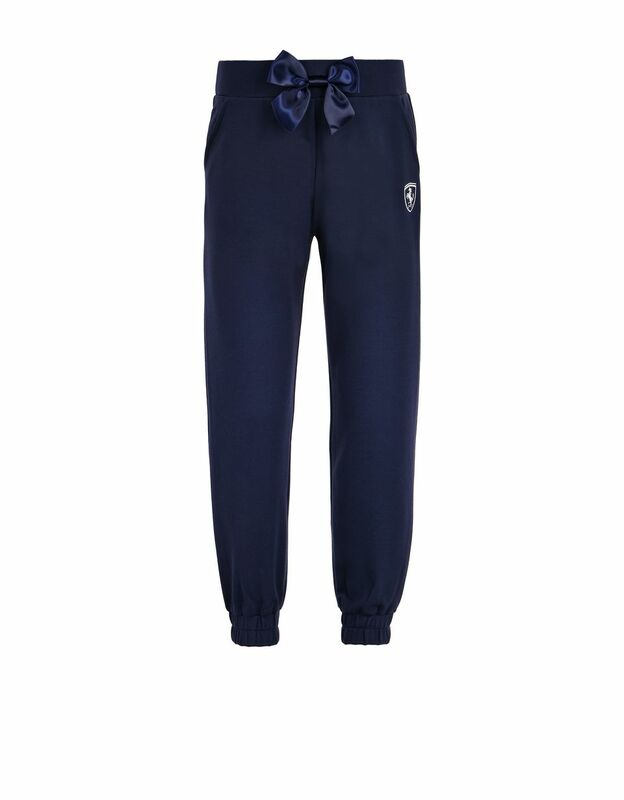 Sporty and feminine, these comfortable jogging bottoms for girls are made of Milano rib jersey, featuring a compact stretch finish. 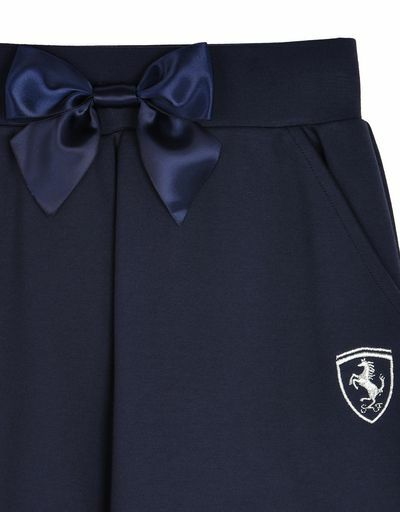 The elasticated ankles and the elegant satin belt that ties into a bow at the waistband give the garment a contemporary urban flair. The Ferrari Shield embroidered in contrasting silver thread under the pocket adds a unique touch to these bottoms for girls.